I recently realized how lucky I am. Although my baby is 100% dependent on me for all things, she can’t do crazy things like move or talk back to me. But there will come a day when I have to tell her “No.” It’s not because she’s bad or prone to getting into trouble- she just doesn’t understand that the world has boundaries. As an adult, that’s a blessing and a curse. There’s an obvious argument for boundaries, like personal space and not taking things that don’t belong to you. But when it comes to being innovative and entrepreneurial, there are some boundaries that inhibit rather than protect. Last winter as an interesting personal/professional development exercise, I read “Go for No” by Richard Fenton. I don’t wantd to “spoil” it, but the basic premise is that successful sales-people are the ones who keep going beyond where they’re comfortable or successful. Say for instance your goal was to sell 5 books in a month. Once you hit that goal, do you stop or keep going? Well, according to Fenton, you keep going (until you hit “no”). The idea is that most people set goals that are squarely within their comfort zones. I’m no exception- for two years my “goal time” for a marathon was to finish- even though I’d done them before. 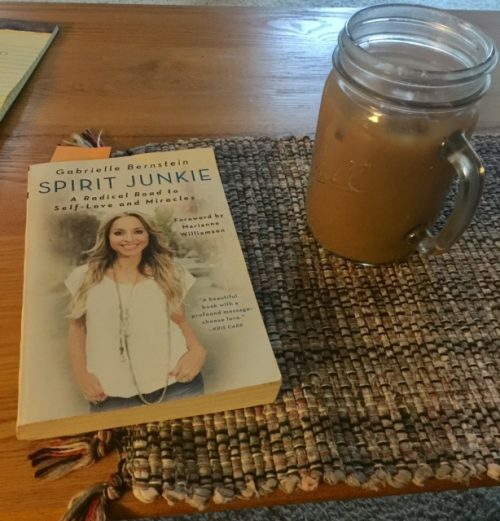 Instead, as the book explains, we should be pushing for “failure,” or what we’ve been taught to perceive as failure, and that’s what will help us grow. Staying stagnant doesn’t cut it. (Sidenote: I saw something on Instagram the other day that said “FAIL = First Attempt In Learning”). 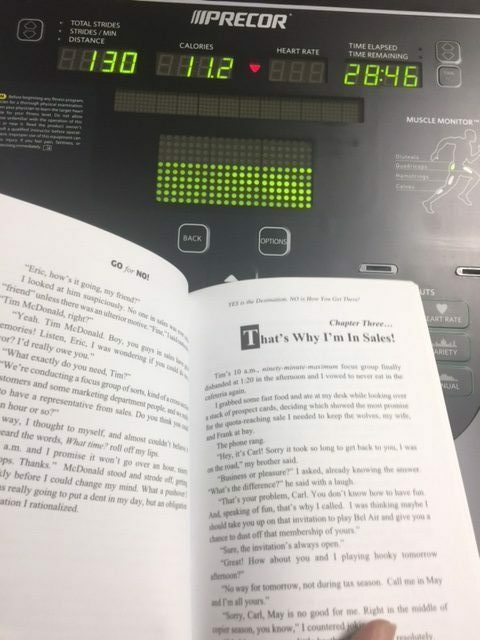 But I don’t think my mind was the only one that was boggled by the whole “No is good” concept, because 10 years after the book was written, people are still using it as a reference for sales, and they have a new book called “Go for No Network Marketing” which is a little longer than its prequel. The “Go for No” website and social media channels are also continuously updated still, promoting the work (and you can book the authors to come speak at your next professional development/teambuilding event). With catchphrases like “eat NO for breakfast” and “stop striving, start arriving,” I am starting to understand the buy-in a little more. Most of all, the book really got me to question something- have I been adverse to sales/self-promotion because it’s actually part of my personality (shyness/introversion) OR because I’ve been taught to stay within a comfort zone? 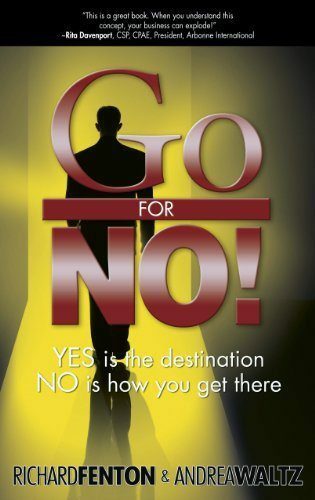 I guess that’s an answer only I can provide, but if you’re interested in exploring/expanding your potential, whether in a “sales” sense or other professional development sense, “Go for No” is an interesting read that will make you ask some questions only you can answer. It’s no secret that to be a good writer, it helps to be a good reader. And when I first started this business and time was short, I decided I was only going to read business books (and occasional biography of a business person helped break things up). I now read other things for fun but someone asked me about what my favorite business books were. Here they are in no particular order. Note these are affiliate links which means we get a small commission if you buy a copy… but I love them regardless. It’s always great to think in the bootstrapping mindset because at the beginning, you want to spend time and money on everything but can’t. 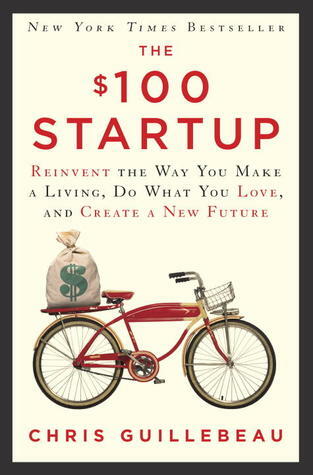 His ‘launch’ checklist alone is worth the price of admission but it is available on his website too: http://100startup.com/resources/launch-checklist.pdf There is an awesome amount of case studies that will make even the most hesitant person inspired to try a business on the side. Mainly a memoir, this book is about a young woman running a business. In a lot of ways, I saw myself and in a lot of ways, I didn’t. She has a lot of great one liners and her candidness is appreciated because so many people aren’t. It was nice to hear about someone feeling insecure, making ‘bad’ decisions, and otherwise admitting to the things no business owner ever wants to admit. Plus I love learning from people outside our industry in particular. If you are worried people are going to know you read self help books, this will tip them off for sure. From the clouds on the cover to the exclamation mark in the title, you know you are in for it. I do this goal setting exercise with myself at the beginning of each year (or I guess more accurately, at the end of the current year for the following year). You don’t have to read the whole book; just use if for the questions you are supposed to ask yourself (the book has elaboration on those questions, which is sometimes needed honestly). Written before social media was anything big, this is how to get blog traffic without it. A lot of what he says is still true today. If you want to use a blog as part of your business strategy (and if you want more traffic to your website or to build relationships, you might as well have a blog), this is a great book about the tech, the content, the marketing (though again, the social media piece is missing) and the money parts of blogging. The hundreds (literally) of social media case studies are great for showing and not telling. Also a great overview of each social network, its strengths, and its weaknesses. Whether you are just starting with social media or have been doing it for awhile, this will get you thinking. Content is king but context is God indeed! Enjoy all the pictures of actual posts with their own ‘how to do it better’ makeovers, I did! I’ve certainly read more than this but these are ones I really enjoyed. 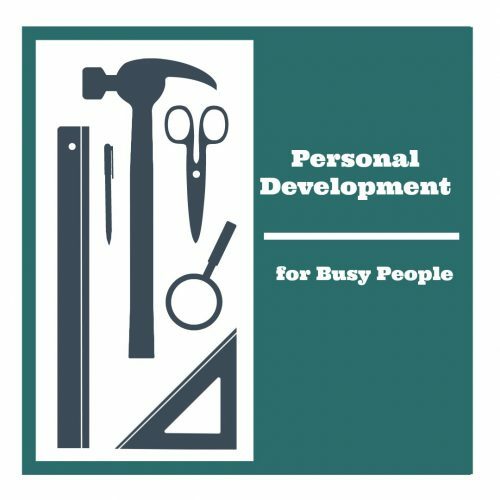 What five books influenced the way you started your business/career? Do you ever feel that people are trying to give you a hint? This past Christmas, my family gave me a couple books (not unusual), and the titles seemed to be a not-so-subtle plea: When Words Matter Most (not sure of the author) and Quiet by Susan Cain. Hmm, I thought, that can’t be a coincidence. My family doesn’t give gifts at random. I’ve always been quiet- one of my teachers wrote in a college recommendation that I was “painfully shy.” It’s not as if it was news to anyone (least of all myself), and it’s something that I have to work at every day. But, to be honest, I’m just throwing punches in the dark, trying to change my personality and the way I’m fundamentally wired in order to become this “better” thing: an extrovert. It turns out, Quiet is one of the most helpful books I’ve ever read from a personal and professional standpoint. 1. Speaking May Never Get Easier. I’m never going to be comfortable with public or impromptu speaking. And I’m okay with that. That’s not to say I’ll never run a meeting, give a presentation, or do another Tech Thursday video. It just means going about it in a different, more comfortable way. One example: for many of our Tech Thursday videos, if I didn’t mentally or physically have an outline of the subject matter, I blanked out in front of the camera (my brother calls this my “freeze”- rather than fight or flight, I have a third reaction based on the deer in the headlights model). Although I’d grown used to the camera, there was still something short-circuiting in my brain when that little red “Recording” light came on. Introverted people are more likely to get overstimulated, especially in situations such as public speaking or talk. And, oftentimes, they’ll end up leaving a presentation thinking “Man, I sounded dumb,” or “Oh SNAP, I forgot this one huge point (or five little points)!” As it turns out, that’s not uncommon: “Overarousal interferes with attention and short term memory- key components of the ability to speak on the fly” (126). The key is finding out what does work. This may mean preparation well in advance, a brief meditation beforehand- whatever helps you get in the zone. 2. Finding Your Balance. Some people do their best work alone, some require more stimulation, and others need a mix. There’s a certain level of self-awareness involved here. Personally, I’ve found that although I enjoy having a quiet space to get work done solo, I need to interact with other people (usually, asking Nicole for feedback on something, or collaborating with others on a project). Sometimes it’s going to a Business After Hours. Even though meetings and presentations to a certain extent terrify me, I go back to my quiet desk-space with a new energy that propels whatever I’m working on privately (and I’m fortunate enough to have a job that allows me to do both). 3. It’s not a matter of better vs. worse, good vs. bad, or any of those opposite pairings (which is what I was expecting). For the longest time, I convinced myself that being quiet was “bad” and that I needed to talk more to be a better person. Quiet is a way to determine whether you identify as an introvert, extrovert, or both, without assigning judgement. Everything has strengths and weaknesses. This book was eye-opening for me in terms of playing up my strengths (patience, empathy, listening) in my professional life, and stress less about becoming something I’m not (a toned-down version of Billy Mays, maybe), especially regarding my professional development. So, if you’re looking for a good read (or want to explore the world of introversion), check out Quiet. Worst case, you learn something you didn’t know before, like what happens to introverted fish in an unfamiliar pond (this isn’t a metaphor- there was literally a fish in a pond study in this book). And, if you’re not into the idea of committing to a book, Susan Cain gives a TED Talk on “The Power of Introverts” that you can check out, too. When I was younger, I used to burn through books like it was my job. Although Mom was ultimately thrilled that one of her kids enjoyed reading, the amount of books that were needed to keep me busy cost a lot of money and took up a lot of space in the house. Once my own bookshelves were filled, I started having stray stacks in my room, then gradually throughout the house. I haven’t entirely relinquished my affinity for print, but getting a Kindle at least made saving space possible. Recently, my reading experience (and maybe yours, too) just improved tenfold. I learned about a little thing called Oyster (named after one of Shakespeare’s famous lines- “the world is mine oyster”), an app that allows you to stream an unlimited amount of books each month for $9.95. Last week, I signed up for a free, 14 day trial. Minus the little glitch with the recent power outage, using Oyster has been not only fun, but easy. Books as far as the eye can see. When I try to conceptualize how many titles Oyster offers, I picture the library in Disney’s Beauty and the Beast. There are books everywhere, as far as the eye can see, and they’re all yours if you want them. It’s exciting stuff. The first book I downloaded was Children Playing Before a Statue of Hercules by David Sedaris. Then I went a little download-happy, and have a ton of books to look forward to in the next 9-ish days. How does it work? Just like Netflix, you stream the material online through the app. So, you can’t download it and keep it forever, but as long as the app is on your device and you’re a paying customer, you can access the book if you need/want. Also much like Netflix, Oyster updates it’s content frequently enough that it doesn’t get stale. The website is user-friendly and easy to navigate, so you can feel comfortable recommending it to your great-aunt who accidentally posts status updates instead of sending private messages on Facebook. Plus, it’s not exclusive to any one device. You can access it on your computer, on your Apple products, Android devices, or Google Play. Just remember your username and password, and login from wherever! There are many topics that I’m curious about, and my first instinct is to do some reading and learn more about them. However, when I want to get a book on Amazon about, say, political influence on the arts, 9 times out of 10 I promptly lose interest in the pursuit of knowledge when I see the price tag. With something like Oyster, I can get all kinds of new information for about $10 a month, which for me is more appealing than binge-watching Arrested Development on Netflix (mainly because I’m all caught up). With the vast spectrum of genres and authors, there’s a potential to explore not only what you enjoy reading, but subjects you are vaguely intrigued by or passionately curious about. Oyster also has children’s books, so you can share the love with the kiddos. If you know someone who would love to try something like Oyster out, you can buy them a subscription. All you need is their e-mail and some cash. There are different options, if you want to just give them one month versus one year. My Christmas shopping just became remarkably simple. Another incentive for gift giving: for every gift subscription purchased, 10% of the proceeds go to a literacy-based charity. You can share with friends. I haven’t explored this option yet, but when you sign in to Oyster, you automatically have a profile. It displays your reading list, and you can add a picture and mini-biography if so inclined. If you have friends using it, you can all share what you’re reading. Reading, while a fun solo adventure, is also a fun when it’s social. That’s why book clubs exist. In addition to what’s listed above, the founders of Oyster have created a website with a bit of fun pizzazz. At the bottom of the About page, there is an animated text area that says “You might enjoy Oyster if…” followed by a changing list of answers (including “you have dated or dumped someone because of their taste in books”). In the list of Genres, there is a section called Famous Reading Lists. This showcases what books certain famous people have read, such as Steve Jobs,J.K. Rowling, Stephen King, Junot Diaz, Margot Tenenbaum, and Lisa Simpson. These folks have a sense of humor, and that’s the sort of crew I feel good about giving my money. Oyster is cool, but don’t take my word for it. Check out the 14 day trial- it’s free, and you just might get hooked.